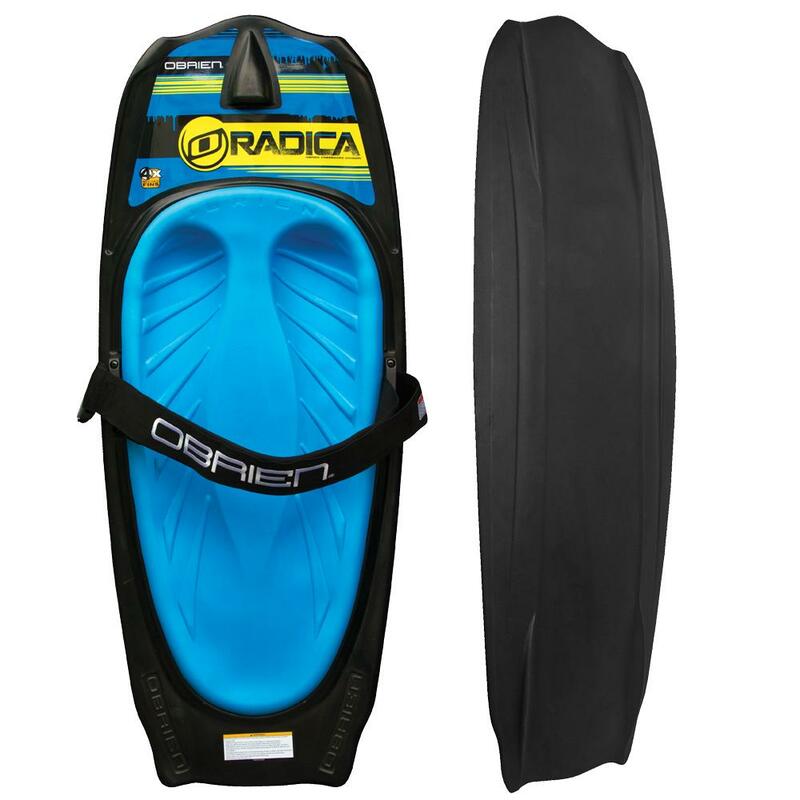 Drawing on their experience making water skis and wakeboards, the O'Brien Radica Kneeboard has everything they know about riding behind a boat. The base features four molded-in fins like a wakeboard so the you track straight and fast, while releasing cleanly off the wake. "Is there a weight limiton this board?" "There are actually no weight limits on kneeboards!" "How long is this board?" "The Length of this Knee-board is 49.7 Inches with a Width of 20.1 Inches. "